W. J. Gilbert (1830 - 1870) a specialist animal painter. One of two of his works in the Museum. 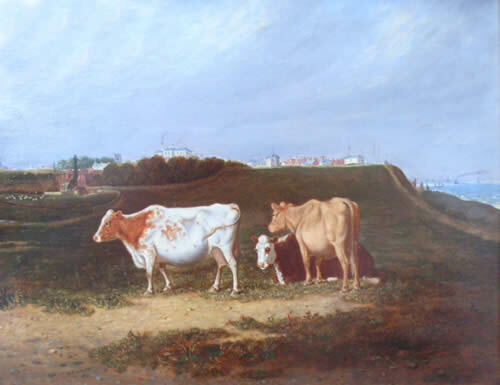 This one, dated 1851, features Cattle grazing on the Town Marshes with Gun Hill in the distance and Southwold beyond.